Welcome back to Homeschool! We know that it’s a time to celebrate. It’s time to celebrate with our 10th Annual Back to Homeschool Blog Hop. Each year we offer homeschool bloggers a way to share how they are doing back to homeschool. 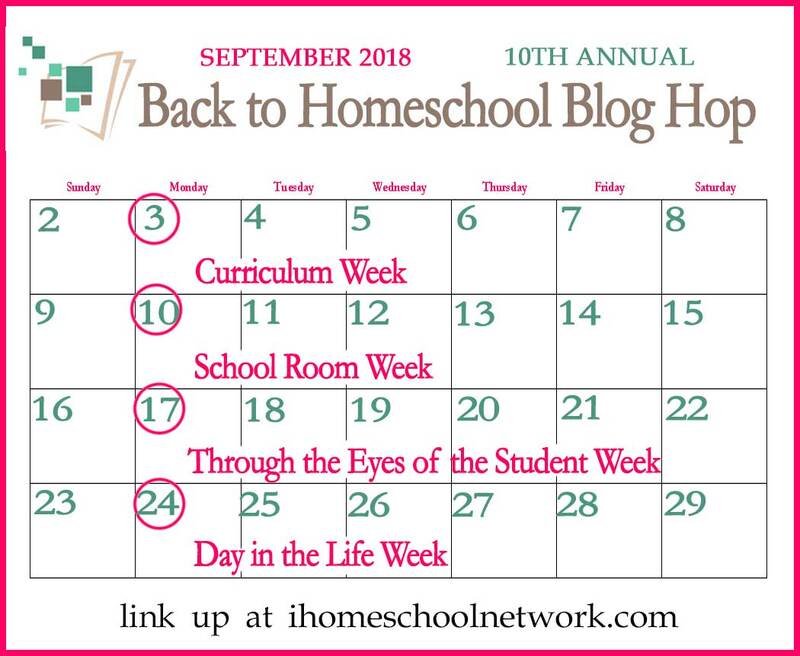 This week is the Back to Homeschool Curriculum Hop! Write a post, or more than one if you want to, about your curriculum choices for the year. We want to know what decisions you’ve made for your kid. Did you find a great all-in-one curriculum? Or, are you doing a full year of interest led learning? Whatever your choices are share your discoveries. Then, let us all know what your curriculum plans are for the 2018/2019 academic year. 2018-2019 Homeschool Curriculum Choices for 1st-12th Grades by Gena Mayo at I Choose Joy! You too can join our curriculum week celebrating getting back to homeschool. If you are a blogger, write a post sharing your curriculum picks for the year. Then, hop back here to iHomeschool Network’s link-up, and use the widget below to add your own links. Happy Back-to-Homeschool to you all! Your turn… enter your curriculum post below.